Calgary, Alta. 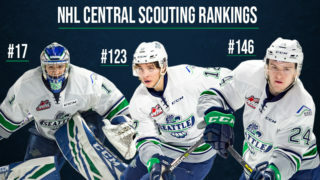 – The Western Hockey League announced today that Seattle Thunderbirds goaltender Carl Stankowski has been named the WHL Goaltender of the Week and the league nominee for Vaughn CHL Goaltender of the Week for the week ending April 30, 2017. 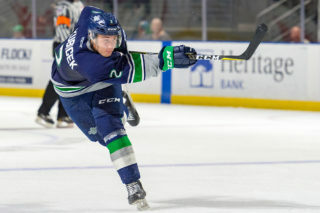 The 17-year-old Stankowski went 3-1 with a 2.26 goals-against average, .930 save percentage and 119 saves over 239 minutes played as the Seattle Thunderbirds claimed the Western Conference Championship to advance to the 2017 WHL Championship Series presented by Rogers. On Tuesday, April 25, Stankowski stopped 34 of 35 shots in a 2-1 win at Kelowna and was named first star. The following night, the rookie goaltender stopped 31 of 35 shots in a 4-2 loss at Kelowna. 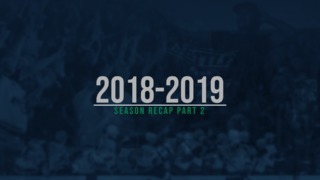 He bounced back by turning aside 37 of 40 shots on Friday, April 28 in a 5-3 win versus Kelowna and cleaned up with 17 saves on 18 shots on Sunday, April 30 as the Thunderbirds scored a 3-1 win at Kelowna to advance to the WHL Championship Series presented by Rogers. To this point in the 2017 WHL Playoffs, Stankowski is 12-2 with a 2.48 GAA and .913 SV%. He sits among the WHL Playoffs leaders in wins (T-1st) and minutes played (845, fifth). Stankowski, who turned 17 in March, is in his first WHL campaign and went 3-0-0-1 with a 2.18 GAA and .910 SV% in seven regular season appearances. 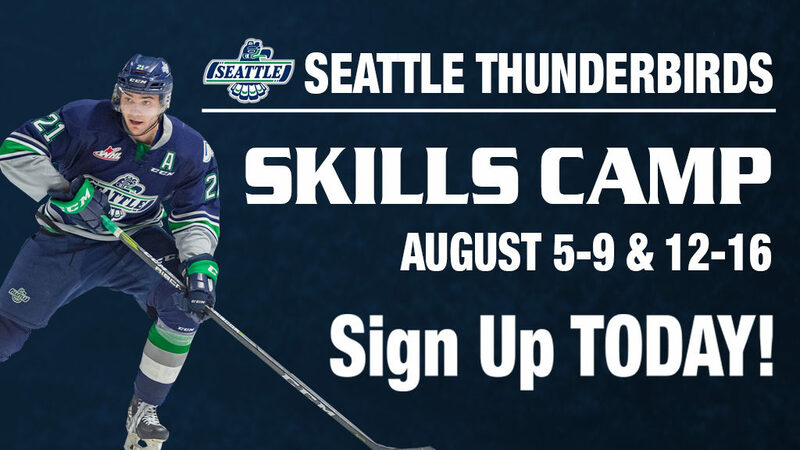 The 5-foot-9, 159-pound product of Calgary, Alta., was originally a second-round pick (37th) of the Thunderbirds at the 2014 WHL Bantam Draft and is eligible for the 2018 NHL Draft. Stankowski and the Thunderbirds head to Regina for Games 1 and 2 of the 2017 WHL Championship Series presented by Rogers, with Game 1 scheduled for Friday, May 5 (7 p.m. MT) at the Brandt Centre. The series switches to ShoWare Center for Games 3 and 4. Game 3 is a Directors Mortgage 2-for-Tuesday game on Tuesday, May 9, at 7:05pm. Game 4 will be a Whiteout Wednesday game at 7:05pm on Wednesday, May 10. Single game tickets for Games 3 and 4 will go on sale Tuesday, May 2, at 10am online on the T-Birds website and at the ShoWare Center box office. The ShoWare Center box office is open 10am-5pm Monday through Friday.